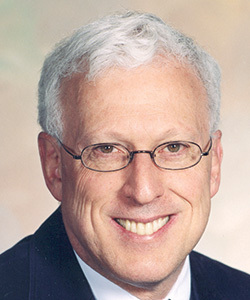 Robert J. Sternberg received his doctorate in cognitive psychology from Stanford in 1975 and went on to become IBM Professor of Psychology and Education, Professor of Management, and Director of the Center for the Psychology of Abilities, Competencies, and Expertise at Yale University. Sternberg left Yale in 2005 to become Dean of Arts and Sciences and Professor of Psychology and Education at Tufts University and then served as Provost of Oklahoma State University and President of the University of Wyoming. He is now Professor of Human Development at Cornell University. Sternberg is also the recipient of 13 honorary doctorates. Sternberg is a former editor of Psychological Bulletin and Contemporary Psychology: APA Review of Books, and he has served as associate editor of Child Development and Intelligence and as consulting editor for numerous other journals.He is a Past President of the American Psychological Association, the Eastern Psychological Association, the Federation of Associations in Behavioral and Brain Sciences, and the International Association for Cognitive Education and Psychology. Among the many awards Sternberg has received is APS’s James McKeen Cattell Fellow Award, recognizing him for a lifetime of significant contributions to psychological science. Known for his work on human intelligence, particularly his triarchic theory of successful intelligence, Sternberg has broad research interests. His published research includes work on creativity, wisdom, reasoning, problem solving, concept learning, memory, thinking styles, love, hate, leadership, conflict resolution, teaching and learning, giftedness, and cultural psychology. The Observer recently interviewed Sternberg about his plans for the journal. Observer: Perspectives on Psychological Science is thriving, with a solid reputation as a unique and innovative journal. As the incoming editor, how do you plan to approach the care and feeding of the journal and its reputation? 1. Thematic journal symposia. I invite readers to suggest themes of contemporary relevance to psychological science as well as to submit proposals for journal “symposia” articles built around these themes. Each journal symposium collection will be judged for its interest to a broad cross-section of readers, for its potential impact on the field as a whole, and for the quality and coherence of its individual articles. Submitters will be encouraged to suggest journal symposia that represent a variety of points of view and approaches, rather than papers that largely repeat each other. The Perspectives editorial board will work with the submitters to choose one or more “discussants,” and particularly will try to choose at least one discussant whose views do not represent or closely align with the views of the symposium participants. The discussant will have the serious role of critiquing the overall symposium and the individual papers. The lead submitter for the symposium, and any collaborators she or he chooses, will then be invited to respond briefly. The goal of the symposium will be to generate a conversation that stimulates and interests a broad spectrum of readers. 2. Book and media reviews. Readers are invited to suggest books or works in other media for review and to nominate potential reviewers, including themselves. Such reviews can generate as much thought and conversation as can the items that are reviewed. The items reviewed will be ones that are judged by the editors as having potentially large and broad impact on the field of psychological science, and perhaps on society as a whole. Reviews will provide an extended analysis and critique. We will seek reviews that take a point of view and elaborate on it, not just reviews that summarize the items or make general comments as to its quality. The reviews should engage the field and help move it forward. 3. Field critiques. Readers are invited to submit proposals for critiques of a field within psychological science. Scientists can get so immersed in their research that they sometimes lose sight of the bigger picture of a field and where it is going. At various points in my career, I have seen some of the top scholars in the field become so entranced with, and entrenched in, current paradigms that they begin to think that the field finally has found “the answer.” In my career, “the answer” has ranged from behaviorist studies to reaction-time modeling of cognition (subtraction and additive-factor methodologies) to serial-process computer models to connectionist modeling to neuroscientific studies and models. All of these approaches have had, and continue to have, serious and significant influence on psychological science. But I think it is important for scientists to reflect on current paradigms and to evaluate the strengths, weaknesses, and likely future contributions of given paradigms. In the end, a field always profits from converging operations (in the sense of Garner, Hake, & Eriksen). There is no one “correct” way to approach phenomena. Indeed, what “works” in studying a phenomenon depends on the specific questions being asked about the phenomena under investigation. When a field critique is invited, a complementary statement with a different point of view also may be invited. 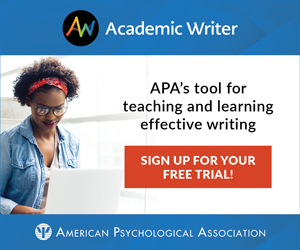 Observer: One of the things that makes this journal stand out is that it, like all of APS’s journals, captures the full scope of psychological science. How will you preserve that breadth during your editorship? RS: I would hope that readers would see my selection as editor as a signal of a commitment to breadth. I have done research and teaching in a wide variety of fields — cognitive psychology, social psychology, personality psychology, developmental psychology, differential psychology, cultural psychology, organizational psychology, and educational psychology, among other fields. In addition to my experience, there is great breadth represented by Perspectives’ associate editors. I am delighted that Brad Bushman, Christian Fiebach, Katherine Kinzler, and Simine Vazire will be joining the team as associate editors. And I am thrilled as well that Daniel Simons and Alex Holcombe will be continuing as associate editors for Registered Replication Reports. I am very happy to say that Alison Ledgerwood also will be staying on as an associate editor to handle mostly methodological articles. I wish to assure readers that I will be open to, and enthusiastic about receiving, articles from all areas of inquiry in psychological science. Observer: Although the editor does invite some articles, most of the material in Perspectives is submitted. What do you want prospective authors to consider when thinking about submitting to the journal? In addition to meta-analyses, replication reports, and longer, integrative review articles, are there other types of submissions you would like to see? RS: I just want authors to submit their very best work. Wendell Garner, my mentor over many years when I was a faculty member at Yale, once commented to me that the hardest articles to get into top journals were ones that were really pedestrian, because they were so pedestrian, and ones that were really creative, because they were so creative. I have sometimes had the feeling that an albatross around the neck of top journals is that their selection ratios are so low that they tend at times to publish articles reflecting great technical competence that happen not to offend the editor or any of the reviewers. Journals can become risk-averse because their precious resource — journal space — is so constrained. I would like to prove to authors who have doubts that highly creative work can get into top journals like Perspectives that this is not the case. This might sound obvious, but it is not. Highly creative work “defies the crowd” and thus inevitably offends and even antagonizes some reviewers. The result is that such work tends to get at least one negative, possibly antagonistic review. For top-notch articles that are potentially ground-breaking, the solution is not to reject them but rather to seek commentaries from scientists with other points of view that open a discussion rather than close the discussion before the articles ever see the light of day. I think that Perspectives has been so successful under Ed Diener and Barbara Spellman because both editors actively sought highly creative, engaging, and big-picture articles. I intend to do the same. If someone is not sure whether an article might fit Perspectives, I would encourage him or her to write to me and chat in advance about whether a potential article might be suitable for us. Observer: Perspectives has led a push to fortify psychological science not just through special sections and articles on methodology, combined perspectives, and integrative science but also through direct replications in the form of Registered Replication Reports, the first of which was recently published. Certainly the journal will play a central role in shaping these advances in the field over the next several years. How will you foster and expand the Registered Replication Reports initiative? RS: Historically, it has been extremely difficult to publish replications in top-notch journals. I am glad that Perspectives can play a role in giving carefully constructed replications the attention they deserve. Our field has been in something of a crisis recently regarding concerns about replicability of findings, including some that have been widely cited, but we’re moving beyond that. I am delighted that the journal can play a role in addressing the challenges we face with respect to replication. Difficulties in replication are not limited to psychological science. They are rife throughout all the sciences. And we need to take responsibility to make sure our findings are solid. We will have two associate editors, Daniel Simons and Alex Holcombe, working on Registered Replication Reports as their primary focus, and all of the other associate editors and I as editor will become involved as necessary. So we have a team in place that will be able to handle submissions as they come in. We will work closely with replication teams and authors of replicated work to ensure that all work is done in a way that achieves absolute scientific integrity. We encourage our readers to consider major findings in the field and ways of carefully checking the replicability of such findings. Contact Simons and Holcombe at replicationseditor@psychologicalscience.org with your ideas! Observer: Is there anything else you would like to share with readers and potential authors about your plans as Editor of Perspectives on Psychological Science? RS: Yes. I want to assure submitters of three things. First, submissions will be carefully and respectfully treated. All authors deserve respectful treatment, regardless of whether their work ultimately is published or not. In my career, I have had more articles rejected than most of our authors will have so far submitted, and I know the difference between an editorial letter that helps an author build on her or his work and one that seems to accomplish little more than to tear the author down. Second, we, as editors, should view ourselves as partners with authors, not as high and mighty judges. Although we do have the responsibility of making judgments, we are submitters to journals just as our authors are, and we want to treat others as we ourselves want to be treated. Third, our goal in writing editorial letters should be to judge pieces on quality, potential impact, interest to a broad range of readers, and potential visibility, not on the extent to which articles represent or agree with our particular points of view on the content of the articles we are entrusted to edit. I would like to invite readers to send me their ideas about how we can make a terrific journal even better. Please send me any thoughts you have at robert.sternberg@cornell.edu. I am eager to hear from you!